Champa Shashti is a six-day festival which is meant for worshipping Lord Shiva. The day is basically celebrated for offering prayers to Khanderao or Khandoba who is an incarnation of Lord Shiva. The festival takes place on the sixth day in the Margashirsha month during the Shukla Paksha. Khandoba is recognized and called as the deity of gatherers, hunters, warriors, herders, and farmers. It is one of the most significant festivals which is celebrated in the states of Karnataka and Maharashtra. The festival holds much significance in the Khandoba temple situated in Jejuri in the region of Pune. What is the significance of Champa Shashti? By observing the rituals of Champa Shashti, the observer is blessed with positive energy and a prosperous and happy life. It is believed that all the sins get washed away by observing this festival with devotion. What are the celebrations and rituals of Champa Shashti? The festival of Champa Shashti is celebrated with much fervor and joy at the Khandoba temple in Pune. The devotees with utmost dedication observe fasts for all the six days of the festivity. The devotees offer vegetables, fruits, wood, apple leaves and turmeric powder to worship Lord Khandoba. People visit the temple for all the six days during early morning initiating from the no moon day to the eve of Champa Shashti. The devotees light an oil lamp for six days in front of the idol of Lord Khandoba. On the sixth day, several offerings are made to the deity such as thombara (which is made up of multi-grain flour), rodaga (delicacy prepared from wheat base) and bhandara (turmeric powder). This ritual is then followed by an Aarti. What is the legend of Champa Shashti? 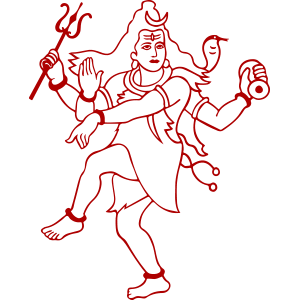 As per the legend, once there were two demon brothers named Mani and Malla who created several troubles for the demigods, sages as well as for the human beings. All the deities and sages sought help from Lord Shiva. The deity then took the form of Lord Khandoba who had an appearance similar to shining gold. The face of the deity was covered with turmeric powder. A fierce battle took place among the demon brothers and Lord Khandoba. After a fight of six long days, Mani sought forgiveness from Lord Shiva and offered him his white horse. To this, Lord Shiva asked Mani for a boon. Mani asked Lord Shiva that he wanted to live with him. To fulfill the wish of the deity, the idol of Mani is placed in all the Khandoba temples. Thus, since that eve, Champa Shashti is religiously celebrated.ng efficiency.